Sailing on the Loire River roundtrip aboard one of our 2 deck ships. Ships sailing this itinerary include Loire Princesse or other similar vessels. Board in Nantes between 18.00 pm and 19.00. Check into cabins. Welcome cocktail in the lounge bar and introduction to the crew. Optional cruise excursion along the Erdre, “the prettiest river in France” according to Francois I. Discover the history of this river and its many castles as you cruise along. 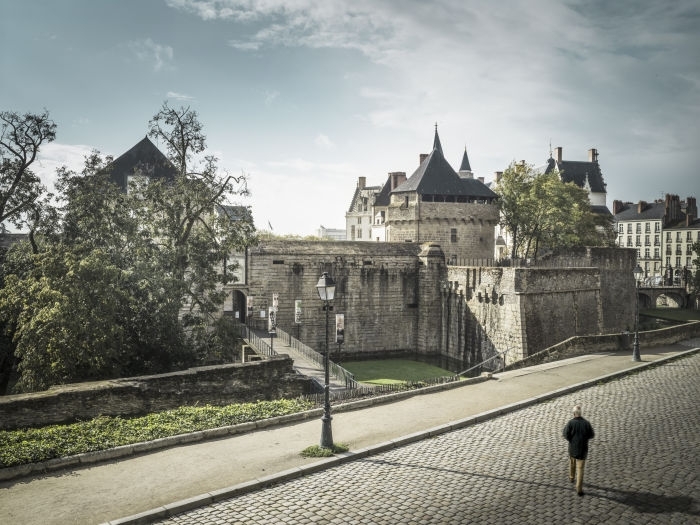 CLASSIC: guided visit of Nantes and the Castle of the Dukes of Brittany. DISCOVERY: Nantes, the Machines de l’Ile, secret courtyards and covered passageways. 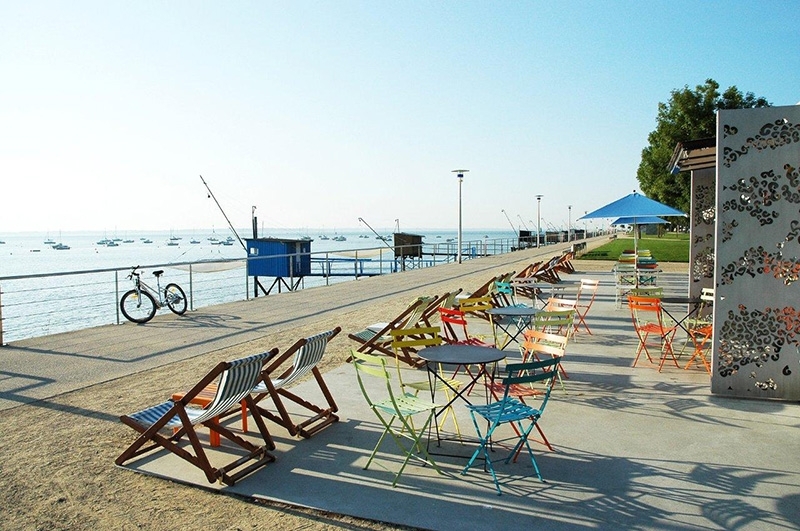 In the afternoon, optional excursion common for both packages: tour of Saint Nazaire, a town on the sea. Visit of Escal’Atlantic and the Saint Nazaire shipyard, one of the largest shipyards in Europe. (This excursion must be pre-booked in advance) . Each passenger will be asked to produce a valid passport or identity card in order to gain access to the shipyard). We join the ship in Saint Nazaire, followed by an evening of music and dancing. DISCOVERY: Helicopter ride (1), the Loire from above. Leaving from Ancenis, experience an unforgettable flight over the Loire River. CLASSIC: visit of the town of Angers, capital of the Anjou region. You will visit the fortress from the 13th century and see the Apocalypse tapestry, which is the most important set of medieval tapestries still in existence in the world today. DISCOVERY: visit of Chateau de Brissac and the castle cellars with a wine tasting. Evening of entertainment provided by the crew. The day is spent on an excursion to visit the Castles of the Loire Valley. We return on board at Ancenis. Gala dinner on board followed by an evening of music and dancing. The ship sets sail during the evening for Nantes and continues through the night. Breakfast on board. Disembarkation at 10.00. (1) This excursion must be pre-booked in advance. Depending on availability and subject to favourable weather conditions. 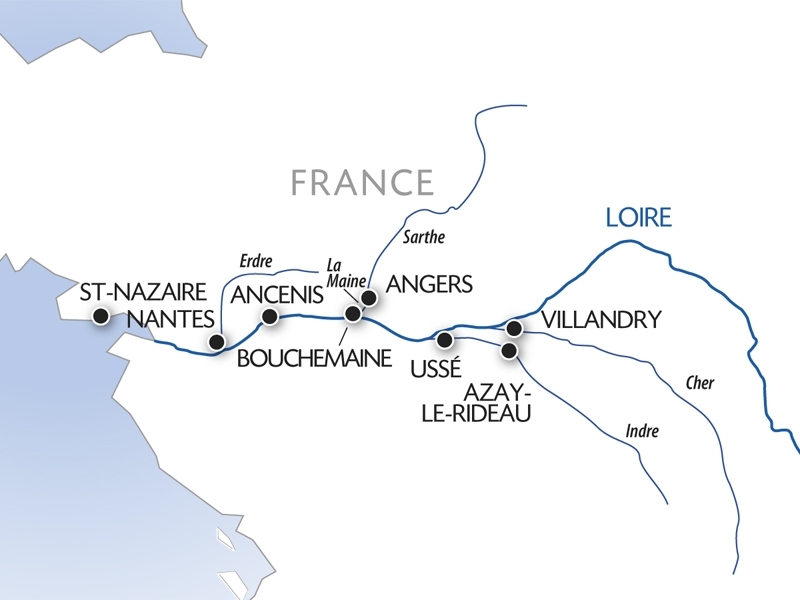 (2) Depending on docking availability, stopover in Bouchemaine may be replaced by Chalonnes-sur-Loire. In this event, order of excursions could be altered.